Winston Peters and Jacinda Ardern are in danger of moving towards a co-prime ministership in all but name. It won't be formally described that way. But the New Zealand First leader — who is officially Deputy Prime Minister and Foreign Affairs Minister — is demonstrating that he is prepared to go against Ardern if she announces policies that are either not already announced in the Speech from the Throne or are not contained in the coalition and support agreements which Labour signed following last year's election. This week's kerfuffle over how many additional refugees should be allowed into New Zealand was a stark illustration of just how aggressively the NZ First leader will play his hand on such issues. Right now, Peters has considerable power in the Coalition and is not afraid to use it. Labour ministers, including the Prime Minister, have wanted to implement the party's election policy to double the refugee quota to 1500 a year. But Peters is adamant NZ First has never committed to the target. He wants a focus on housing disadvantaged New Zealanders to take precedence over upping refugee numbers. And when it comes to resettling refugees currently sitting in Australia's offshore detention centres, his view is that New Zealand should first legislate to ensure they cannot use this country as backdoor access to Australia. It was not so much that the differences broke out. It was more that they broke out in public, leaving Ardern reacting to Peters' positioning while he was offshore. This is not a tidy way to air differences. On paper, New Zealand First is very much the junior partner in the Coalition Government. But in practice, Peters is wielding power far beyond the weight of NZ First's nine MPs. When the Government was first announced, it was commonplace to call it the "Labour-led Coalition Government". Peters simply prefers "Coalition Government". The Green Party shares its leadership between two co-leaders. A co-prime ministership has been speculated about in the past. It was thought that Peters might demand that as the price of Coalition Government if NZ First had ended up with 12-15 per cent support at the past election. This would have seen the leaders of the Coalition parties taking turn-about in the job of Prime Minister. As it turned out, Peters stood in for Ardern when she was on maternity leave. He ran a good, steady ship, much to the surprise of a commentariat which had forecast all manner of calamity. While the Prime Minister is very much the senior partner when it comes to forging New Zealand's positioning in international relations, it is the Foreign Minister who has to settle ruffled feathers — particularly in Australia — when Ardern's virtue signalling over "refugee" issues gets up the nose of the Australian Cabinet, which devotes a huge budget to intercepting people smugglers. Ardern has not managed to temper NZ First Cabinet Minister Shane Jones' attacks on prominent businesspeople. Nor has Peters reined him in. 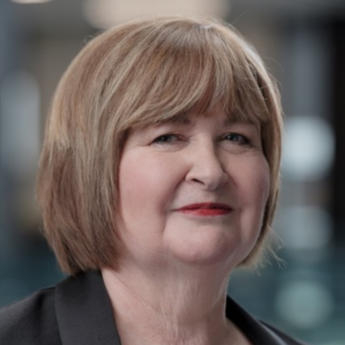 And Peters will be cognisant that it is two of Labour's ministers who have been stood down first from Cabinet (Clare Curran resigned yesterday); not any of NZ First's complement. The Curran affair has made Ardern appear weak. But Ardern — like Peters in Parliament this week — also showed some heart by not sacking the beleaguered former Cabinet Minister outright over her second failure to record a critical meeting. Curran was given room to contemplate her future, after her subsequent public meltdown in Parliament, and ultimately the right decision — to resign — was made. This is not an easy call. Public humiliation is hard to take. Peters has tasted defeat before and climbed back into the ring again. For some who fail publicly, the mental and physical pressure can be overwhelming. Ardern has had a remarkably charmed run. She lost twice to Nicky Kaye in the fight for the Auckland Central seat. She appears to have caved in to Peters over the Government's pledge to increase the refugee quota. But she has not showed the stress publicly. What the refugee affair does illustrate is that Labour cannot take for granted that what it believes are prime policies will be supported by NZ First outside of Coalition commitments. The preamble to their Coalition agreement states that the parties will work collaboratively and in good faith to reach agreement on particular policy and legislative initiatives. "The Labour and New Zealand First parties agree to identify policies and roles in a way that maintains and promotes the distinct identity of each party." The differences over the refugee quota show the Coalition leaders have some way to go work out what should be in the "agree to agree" bracket and what falls into the "agree to disagree" category.